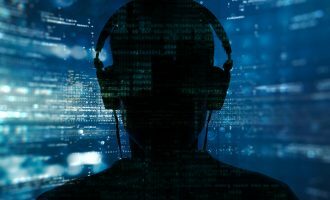 A powerful threat actor known as “Wild Neutron” (also known as “Jripbot” and “Morpho“) has been active since at least 2011, infecting high profile companies for several years by using a combination of exploits, watering holes and multi-platform malware. The latest round of attacks in 2015 uses a stolen code signing certificate belonging to Taiwanese electronics maker Acer and an unknown Flash Player exploit. 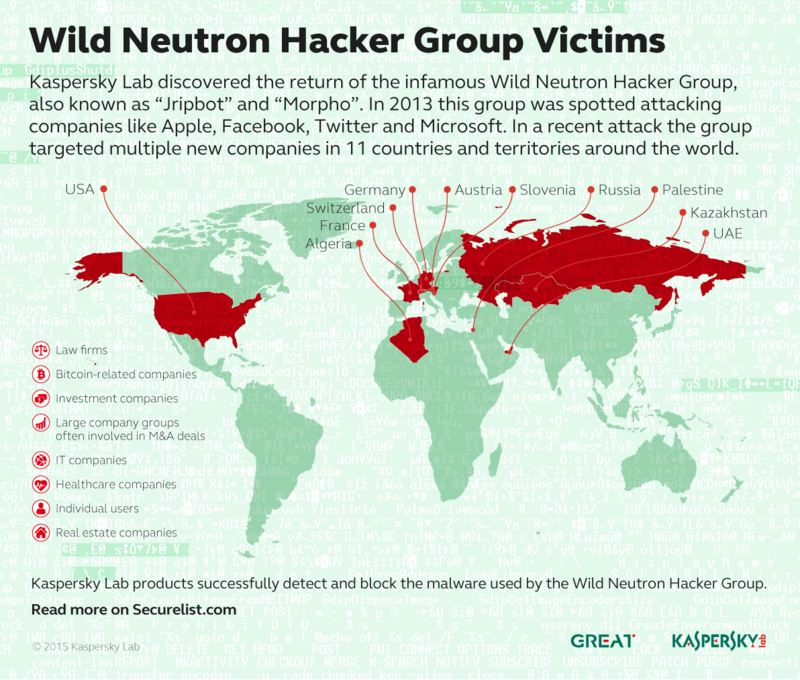 Wild Neutron hit the spotlight in 2013, when it successfully infected companies such as Apple, Facebook, Twitter and Microsoft. This attack took advantage of a Java zero-day exploit and used hacked forums as watering holes. The 2013 incident was highly publicized and, in the aftermath, the threat actor went dark for almost one year. The focus of these attacks suggests this is not a nation-state sponsored actor. 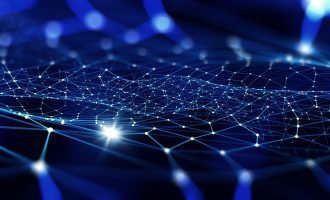 However, the use of zero-days, multi-platform malware as well as other techniques makes us believe it’s a powerful entity engaged in espionage, possibly for economic reasons. During the 2013 attacks, the Wild Neutron actor successfully compromised and leveraged the website www.iphonedevsdk[. ]com, which is an iPhone developers forum. The attackers injected a script into the forum that redirected visitors to another website (min.liveanalytics[. 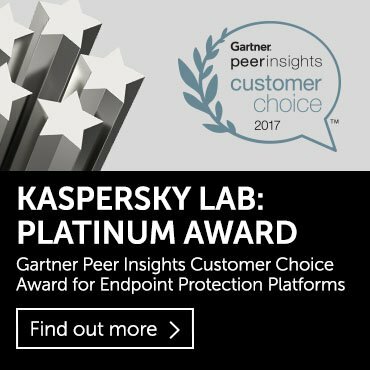 ]org – currently SINKHOLED by Kaspersky Lab) that hosted a Java zero-day exploit. A similar attack was also found in another forum dedicated to Linux developers: fedoraforum[.]org. For a more detailed analysis of these 2013 attacks, see Eric Romang’s blog. In particular, two of these stand out: “community.flexispy[. ]com” and “ansar1[.]info“. The first one is a community ran by Flexispy, a company that sells spyware for mobile devices. The second one is a Jihadist forum that is currently closed. Back in 2013, the attackers also leveraged a Mac OS X backdoor, known as OSX/Pintsized. This is also described in more detail in Eric Romang’s excellent blog. The same backdoor, compiled for Win32, is still being used in the 2015 attacks. Some of the more prominent victims of the 2013 attack include Twitter, Facebook, Apple and Microsoft. These breaches were covered widely by the press and some affect companies, issued statements on the incident (see Facebook’s statement). The targeting of major IT companies like Facebook, Twitter, Apple and Microsoft is unusual, however, it’s not entirely unique. The lack of victims in other sectors, such as diplomatic or government institutions, is however quite unusual. This makes us believe this is not a nation-state sponsored attack. Although customized, some of the modules seem to be heavily based on open source tools (e.g. the password dumper resembles the code of Mimikatz and Pass-The-Hash Toolkit) and commercial malware (HTTPS proxy module is practically identical to the one that is used by Hesperbot). All C&C communication is encrypted with a custom protocol. Dropped executables, as well as some of the hardcoded strings are usually obfuscated with XOR (depends on bot version). The main backdoor module contains a number of evasion techniques, designed to detect or time out sandboxes and emulation engines. 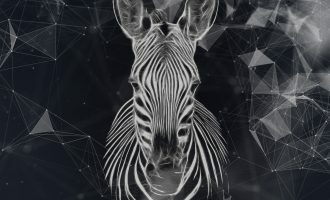 The initial infection vector from the 2014-2015 attacks is still unknown, although there are clear indications that the victims are exploited by a kit that leverages an unknown Flash Player exploit. While app.cloudprotect[. ]eu and ssl.cloudprotect[. ]eu are two known Wild Neutron C&Cs, cryptomag.mediasource[. ]ch appears to have been pointed to this IP for the purpose of exploitation. Another suspicious domain can be observed above, secure.pdf-info[.]com. We haven’t seen any attacks connected with his hostname yet, however, the name scheme indicates this is also malicious. In another attack, we observed a similar exploitation chain, however hosted on a different website, hxxp://find.a-job.today/. In both cases, the visitors browsed the website, or arrived via what appears to have been an online advertisement. From there, “autoload.js” appears in both cases, which redirects to another randomly named HTML file, which eventually loads a randomly named SWF file. While the group used watering hole attacks in 2013, it’s still unclear how victims get redirected to the exploitation kits in the new 2014-2015 attacks. Instead of Flash exploits, older Wild Neutron exploitation and watering holes used what was a Java zero-day at the end of 2012 and the beginning of 2013, detected by Kaspersky Lab products as Exploit.Java.CVE-2012-3213.b. The functionality of the main dropper is relatively simple: it decrypts the backdoor executable (stored as a resource and encrypted with a simple XOR 0x66), writes it to a specified path and then executes it with parameters that are hardcoded in the dropper body. One of the parameters is the URL address of the C&C server, while others contain various bot configuration options. After executing the main backdoor, the dropper is securely deleted by overwriting its content with random numbers several times before renaming and removing the file. This binary is executed with the URL address of the C&C server as a parameter; it can also receive an optional bot configuration. This information is then double-encrypted – first with RC4 and then with Windows CryptProtectData function – and saved to the registry. Before performing any other activity, the malware first runs its stalling code (designed to outrun the emulators), then performs several anti-sandboxing checks and enters an infinite loop if any unwanted software running in the system is detected. Based on some of this information, malware generates a unique ID for the victim and starts the C&C communication by sending the ID value and awaiting commands. Backdoor configuration options may include proxy server address and credentials, sleeptime/delay values and connection type, but the most interesting option is the resolv=[url] option. If this option is set, the malware generates a domain name consisting of computer name, unique ID and and the URL passed with this option; then it tries to resolve the IP address of this domain. We suspect this is the method the attackers use to send the generated UID to the C&C. These features were removed from the newer backdoor versions that are used in recent attacks. Instead, malware developers decided to implement a plugin mechanism and run different tools for different tasks. This suggests a clear shift towards more flexible modular architecture. In terms of functionality, the main backdoor is no different from many other Remote Access Tools (RATs). What really stands out is the attacker’s carefulness to hide the C&C address, by encrypting it in the registry with machine-dependent information. 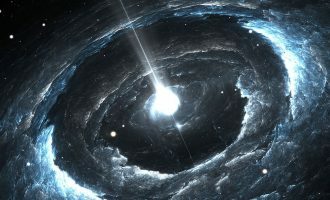 Also notable is the ability to recover from a C&C shutdown by contacting a dynamically generated domain name, which only the attackers know in advance, as it is directly tied to each unique victim. After installing the main backdoor and establishing initial C2 communication, the attackers use a range of different tools to extract sensitive data and control the victim’s machine. These tools include a password harvesting trojan, a reverse-shell backdoor and customized implementations of OpenSSH, WMIC and SMB. Sometimes, they only drop a simple perl reverse shell and use various collection methods to retrieve credentials from a set of machines, escalate privileges, and fan out across a network from there. Besides these tools, there is also a number of small utility modules of different functionalities, from loaders and configuration tools, to file shredders and network proxies. It’s also worth noting that this threat actor heavily relies on already existing code, using publicly available open source applications, as well as Metasploit tools and leaked malware sources, to build its own toolset. Some of these tools are designed to work under Cygwin and come together with the Cygwin API DLL, which may suggest that the attackers feel more comfortable when working in a Linux-like environment. For authentication, the SSH tunnel backdoor contains a hardcoded RSA private key. 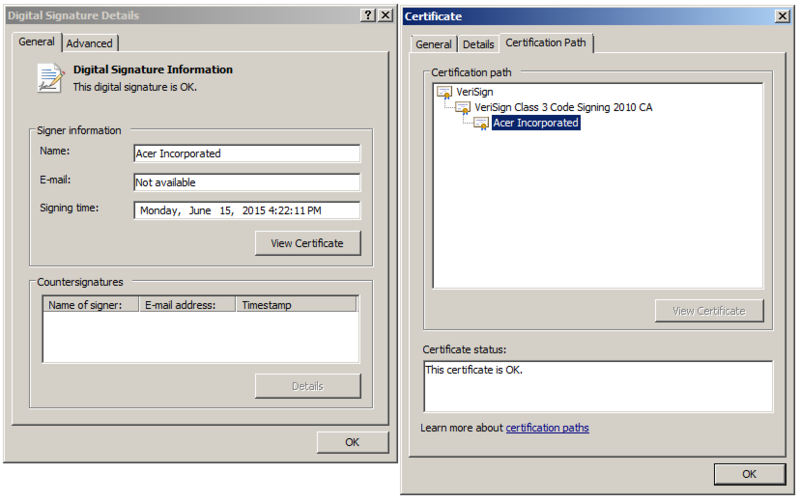 During the 2015 attacks, Wild Neutron used a dropper signed with a stolen, yet valid Acer Incorporated certificate. The dropper (dbb0ea0436f70f2a178a60c4d8b791b3) appears to have been signed on June 15, 2015. It drops a Jripbot backdoor as “IgfxUpt.exe” and configures it to use the C&C “app.cloudprotect[.]eu”. We have worked with Symantec, Verisign and Acer to revoke the compromised certificate. The victims for the 2014-2015 versions are generally IT and real estate/investment companies and in both cases, a small number of computers have been infected throughout the organizations. 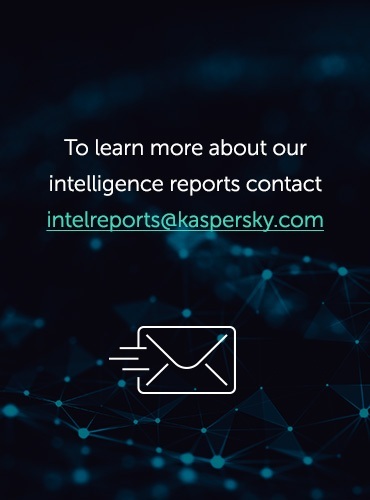 The attackers appear to have updated the malware implant and deployed some additional tools, however, we haven’t observed serious lateral movement in these cases. The targeting of various companies, without a government focus, makes us believe this is not a nation state sponsored APT. The attackers have also shown an interest in investment related targets, which indicate knowledge and skills to exploit such information on the market to turn it into financial advantages. Interestingly, “La revedere” means “goodbye” in Romanian. In addition to that, we found another non-English string which is the latin transcription of the russian word Успешно (“uspeshno” -> “successfully”); this string is written to a pipe after executing a C2 command. One of the samples has an internal name of “WinRAT-Win32-Release.exe”. This seems to indicate the authors are calling the malware “WinRAT”. Compared to other APT groups, Wild Neutron is one of the most unusual ones we’ve analysed and tracked. Active since 2011, the group has been using at least one zero-day exploit, custom malware and tools and managed to keep a relatively solid opsec which so far eluded most attribution efforts. Their targeting of major IT companies, spyware developers (FlexiSPY), jihadist forums (the “Ansar Al-Mujahideen English Forum”) and Bitcoin companies indicate a flexible yet unusual mindset and interests. 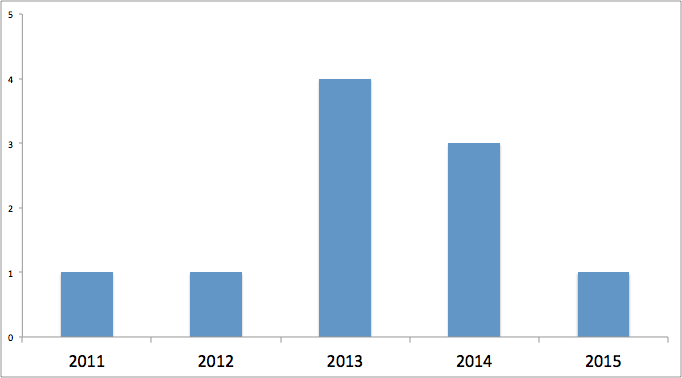 We continue to track the Wild Neutron group, which is still active as of June 2015. Please provide a copy of the Acer code-signing certificate, so it can readily be blacklisted via Group Policy.